So glad I found this practice! The staff and physician are friendly and professional with lots of smiles to go withthe excellent care and extra time spent with my questions. I wish every practice was this pleasant, comprehensive and professional. Thank you Dr. Onyekwere and staff! So glad I found this practice! The staff and physician are friendly and professional with lots of smiles to go with the excellent care and extra time spent with my questions.I wish every practice was this pleasant, comprehensive and professional. Thank you Dr. Onyekwere and staff! She is superb! A professional indeed! She is very welcoming and comforting to all of my children (as well as herstaff). **SATURDAY AND SUNDAY ARE BY APPOINTMENT, DR ONYEKWERE WILL SEE YOU AT THE OFFICE YOU CHOOSE** Dr. Onyinye Onyekwere is a Pedatrician and an Pediatric Hematologist and an Adult Sickle Cell Disease Specialist in the Washington, DC metropolis (Maryland and District of Columbia). She specializes in General Pediatric, Hematology & Oncology, Pediatric Anemia and Red Blood Cell Hematology, Laser skin care. She received her medical degree from Michigan State University College of Human Medicine, and has been in practice for 22 years. 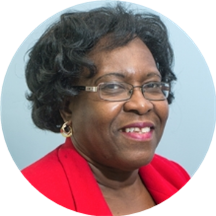 Prior to starting Advanced Neighborhood Pediatrics, Dr. Onyekwere completed her pediatric hematology oncology fellowship at the St Jude's Children Research Hospital, and Children's Hospital of Boston and the Dana-Farber Cancer Institute in Boston, MA, and was a staff at Howard University Hospital. Beyond education and experience, Dr. Onyinye Onyekwere is a very warm doctor with excellent bedside manner. Your loved ones will be well cared for in our clinic. A bit of a wait today. Waited an hour and fifteen minutes. Everything else was ok. The doctor and staff was pleasant and professional. The only thing I was not too happy about was the number of nurses/medical assistants in and out of the patient room. It was a bit overwhelming to have 5-6 people in andout of the room while I was trying to talk to the doctor about my concerns. Overall, I like the doc and staff for my child's PCP. First time visit, and I was extremely pleased. The ladies at the front desk are so helpful and sweet. There was no long wait and it felt as though they have great control over there scheduling. Meaning, not double booking, andhaving multiple people scheduled at the same time. Dr. O was amazing with my son. She got him to open up and express his feelings and emotions to her after just one meeting which I thought was great. She is very thorough and addressed all of my concerns. My 11 yr old son loves his new doctor. I highly recommend this office. She is a good doctor just had to wait a bit and it was SUPER hot.